Obviously, a good domain name is the heart and soul of a great website. It can at once express the identity of your site, its mood, and identify the content visitors can expect to see. A good domain name attracts your target audience and helps your site win the SEO battle by keeping it high in search engine rankings. With a good domain name, half your battle is won - but unless you put some thought into it, buying a good domain name can be the start of some serious problems. Imagine... You buy the perfect domain name and set about establishing your site. You review web hosts and find the one you need. You do due diligence on website designers and get one on board. Once your site is set up and paid for, you do some basic SEO and it is flying - it is high in search engine rankings and bringing in customers AND revenue. And then it happens... You receive a "cease and desist" letter - otherwise known as an "infringement letter". What is an "Infringement Letter"? An infringement letter is essentially a letter sent from a lawyer to ask someone to refrain from 'illegal' activity. Receiving one can come as a tremendous shock. People don't expect buying a domain name and operating a website to constitute anything illegal. But if you have bought the wrong name, it can be extremely serious indeed. If your domain name infringes on an existing trademark, you can end up in court and in fact lose the domain entirely, rendering the time and effort you invested in your website something you have to write off. What does "Infringing a Trademark" mean? Let's say you have a company that makes soft drinks. For obvious reasons, it is highly unlikely that you would call your company "Coca Cola". The possible ramifications are too numerous to mention. Coca Cola is one of the world's leading brands, its name and logos are trademarked, and even a complete business novice would recognize the potential for being sued. But of course, "Coke" has become something of a generic term identifying cola drinks around the world - order 'Coke' in some restaurants and the chances are that you might get a cola drink that wasn't actually made by Coca Cola. So, if you find a domain name, "www.newcokedrink.com", or something similar, it should be ok to register it for your website's domain name, right? So what does this have to do with my domain name? Wrong - despite being used generically, the word 'Coke' is a registered trademark of The Coca-Cola Company. 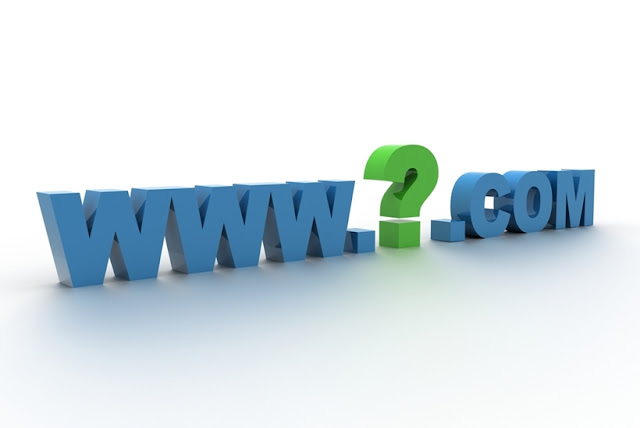 As a result, using it in your domain name will almost certainly result in legal action. It is also the case with the multitude of lesser known names and terms that represent copyrighted material around the world. Use any copyrighted word or phrase in your domain name and the chances are you are going to have legal problems. Why does using a trademark in my domain name illegal? Using a trademark in a domain name could potentially misrepresent your products and services. Potentially, if someone visits your website thinking they are visiting the website of the company who owns the trademark in your domain name, they might, for example, purchase products under the impression they are buying products from that company. This type of confusion could exist when the trademark is built directly into the domain. Examples of domains that have previously been disputed include "mcdonalds.com" and "mtv.com". However, domain names that might be recognized as belonging to another company can also infringe copyright. For example, micros0ft.com. A zero replaces the 'o' but it certainly resembles microsoft.com! Generally, what do I need to look for to avoid trademark disputes? In many respects you have to follow your gut on this one - domain names that are immediately memorable because they are very clever are very likely to be trademark protected. A word or term that has previously been used in advertising of any nature is also likely to be trademarked. If the domain itself has been used before, it might also be under trademark protection. How can I know for certain if a domain name infringes a trademark? To know for sure requires a bit of effort, but putting in that effort can save so much time and frustration for you in the end. In the United Kingdom, the gov.uk government website allows users to search terms to establish if they are protected. Likewise, in the United States the U.S. Patent and Trademark Office is the place to start a search. The European Union also offers a search tool for the same purpose. However, if you are intending to make a major investment in a website, it might prove sage to pay professional Intellectual Property lawyers to do a global search for you to establish whether you might experience any difficulties if you begin trading outside the country you are living in. Come on - is this for real? In early 2015 a friend of mine was involved in a trademark dispute involving a specific academic test meant for foreign students studying in the United States. My friend did his homework, and counted some 789 websites with domain names which included the specific term he was planning to use in his domain name. With such prevalence, he felt he was ok to go ahead with his website plans and used that term in his domain. And he also got 'lucky' - he found a domain that also included the name of the country he was operating in. Unfortunately, the term plus the name of the country was the registered name of the test's representatives in the country he was living in. They had registered the trademark years ago, and sent out an Infringement Letter giving him 7 days to stop using the website. And that was that. What if I ignore an 'Infringement Letter'? If you ignore an Infringement Letter you are at the mercy of the legal system of the country in which you operate. The Internet Corporation for Assigned Names and Numbers, or ICANN, who are in charge of overseeing issues related to domains, have a policy known as the "Uniform Domain-Name Dispute-Resolution Policy" which details what happens to names that are in dispute. If the owner of a disputed name cannot be traced, ICANN ultimately has the power to convene an arbitration panel and decide whether the domain name should be handed to the trademark owner, and in most cases, this happens. So, if you ignore an Infringement Letter you could end up in court, or at the very least, the domain name could be taken off you. Deciding between Cloud and cPanel hosting?